My hands get some pretty rough treatment in the studio and because they are always in front of the camera, I get a regular manicure to keep them looking good. You've probably noticed that my nails are always a different colour! 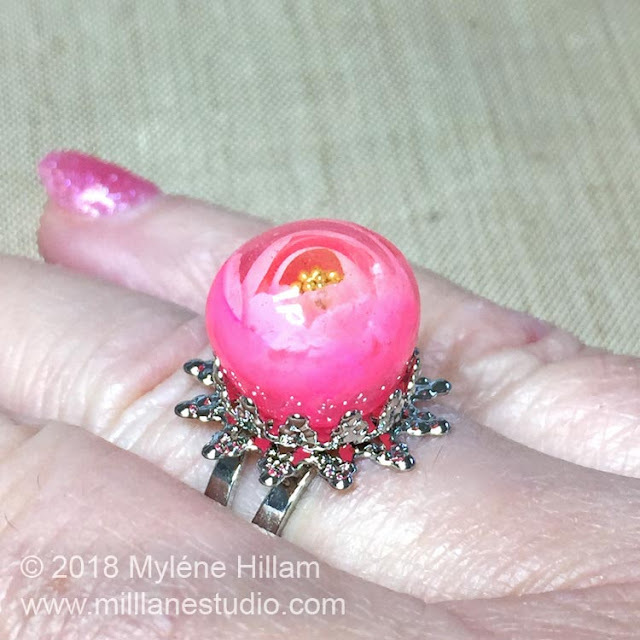 Whilst visiting my nail technician last week, I noticed she had some gorgeous 3D bubble roses on her nails and I realised immediately that this was something that we could do with UV jewellery resin. It's just a matter of building up layers of resin and painting each layer with colour. 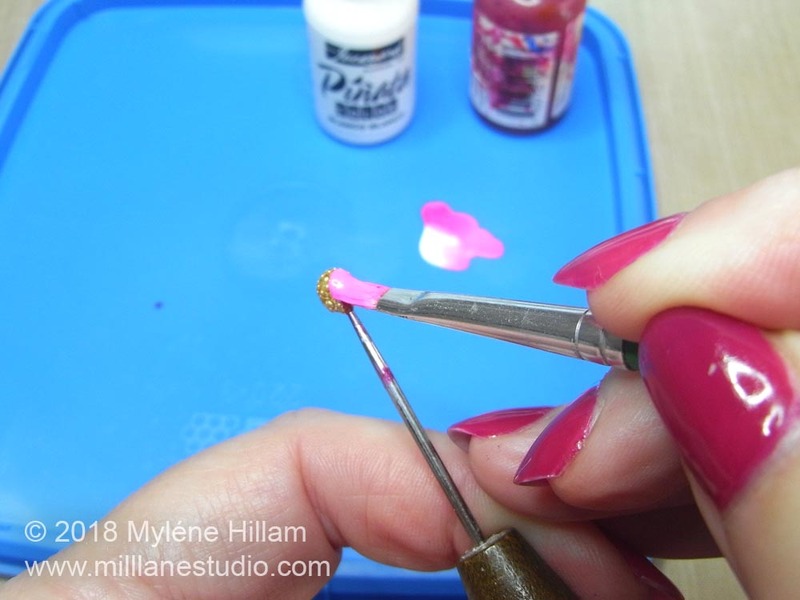 In the nail world, they paint the rose petals with gel nail polish but I've used alcohol inks which worked just fine. So here's what you'll need to make your own. Pinata Alcohol inks. I used Señorita Magenta and White (you need the white to give the pink some opacity and some depth). Start by applying a bead of resin to the tip of the ball tool. Place it under the UV lamp to cure. You'll need to rotate the tool constantly so the resin doesn't drip or cure lopsided. 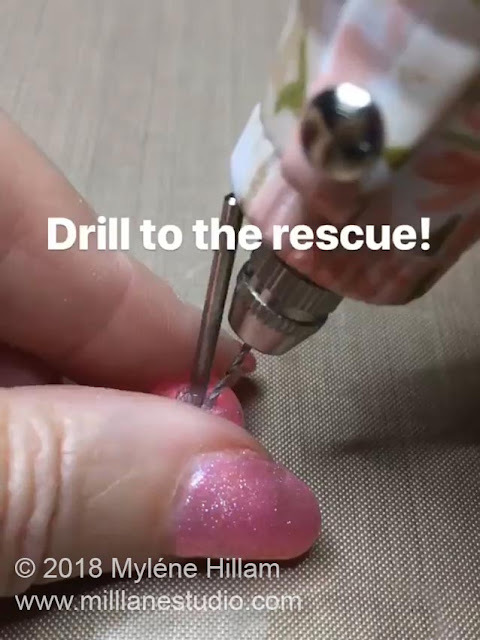 This will take several minutes depending on your nail lamp. 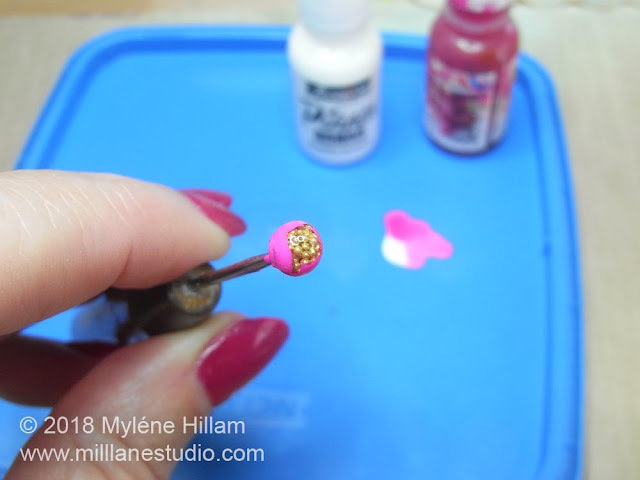 Apply another layer of resin over the cured resin and dip the ball into the bead caviar. This will become the stamens of the rose. 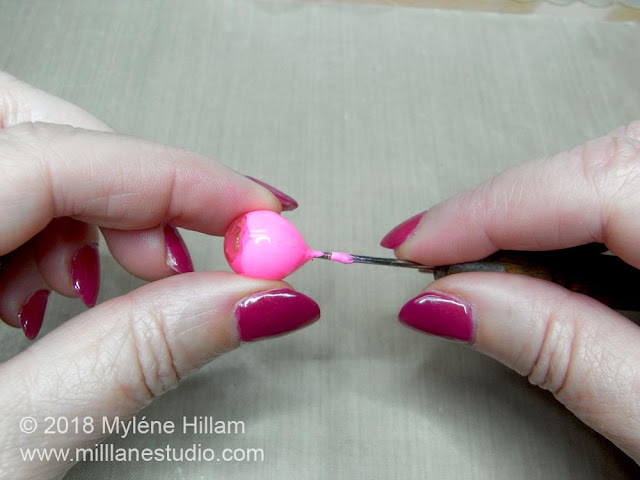 Then place it under the nail lamp again, constantly rotating it until the resin has gelled and the beads are adhered. Apply a coat of resin over the bead caviar and cure it under the nail lamp, rotating it until the resin gels. 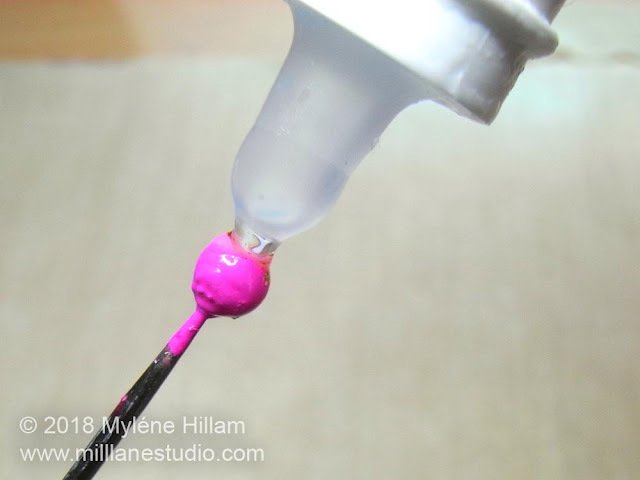 Squeeze a drop of white and pink alcohol ink onto the palette and dip your brush into each colour. Paint three of four petals around the resin ball. You want them to cup the caviar a little. 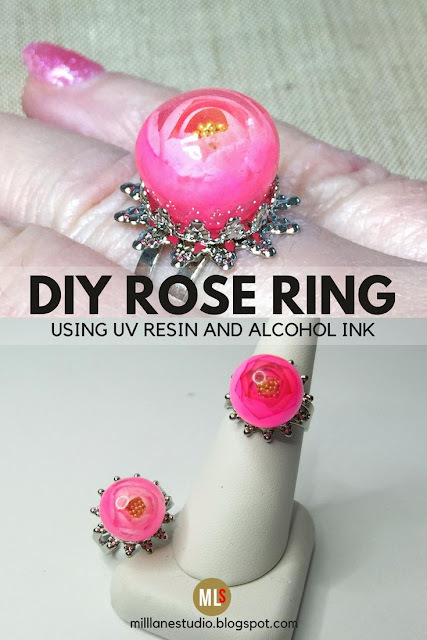 Once the alcohol ink has dried, apply a coat of resin to the whole ball and cure as before. 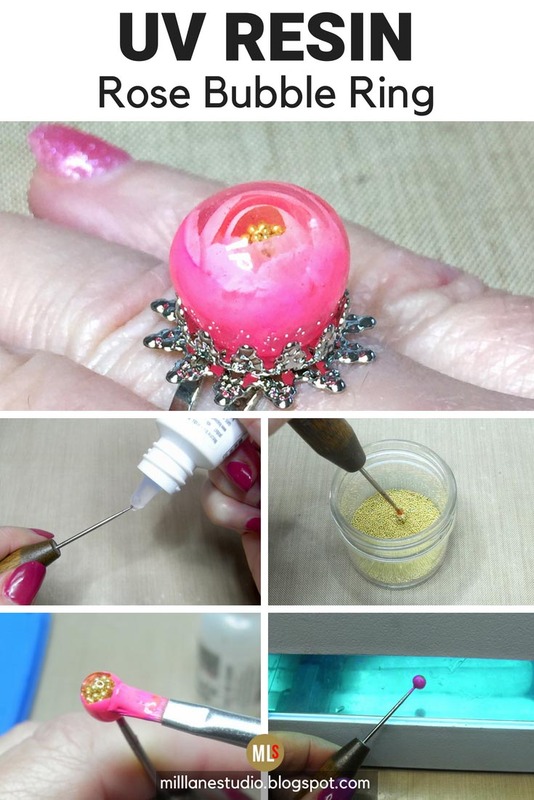 If you apply a thick layer then it will take more time to cure. If your layer is thin, then you'll need to apply a second coat. Paint another layer of petals on the resin, lining them up in between the petals of the first layer but so that they sit slightly lower. 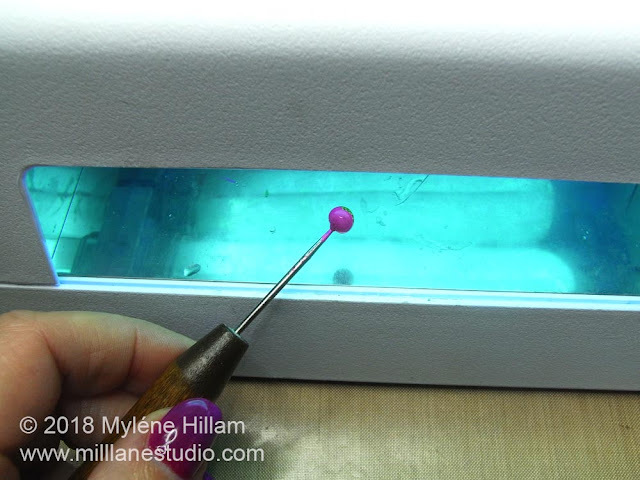 Continue adding layers of resin and alcohol ink until your bead is the size that you want. 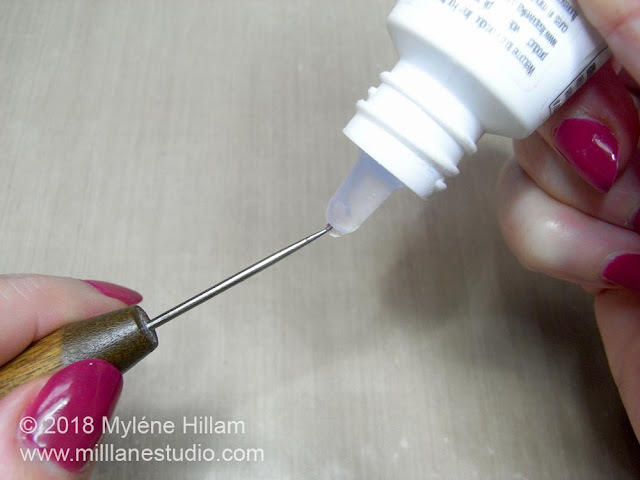 The bead should be easy to remove from the needle - just give it a twist and pull it off. Now you need to flatten the bottom so that it will sit on the ring base. 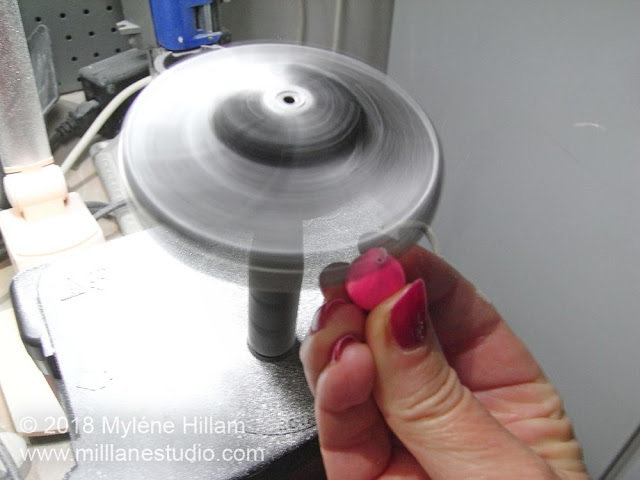 I used the JoolTool with a grinding disk because it removes the excess material so quickly and you can see what you're doing as the ninja disk rotates. I absolutely love this tool! But you could just as easily use a hand file to get the same result. 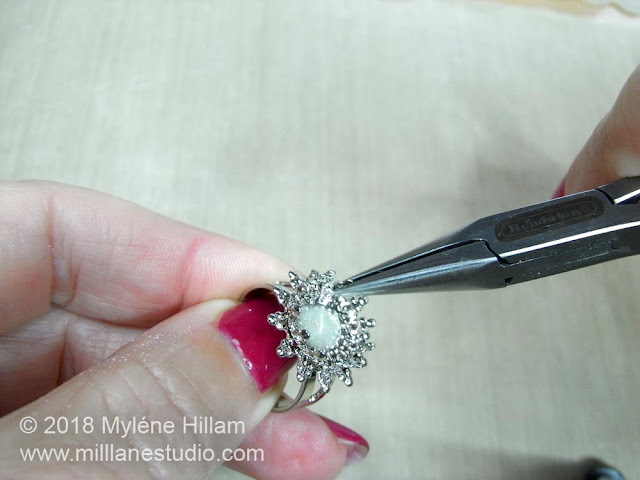 Use the pliers to open out the prongs on the ring base a little so that the bead sits snugly. 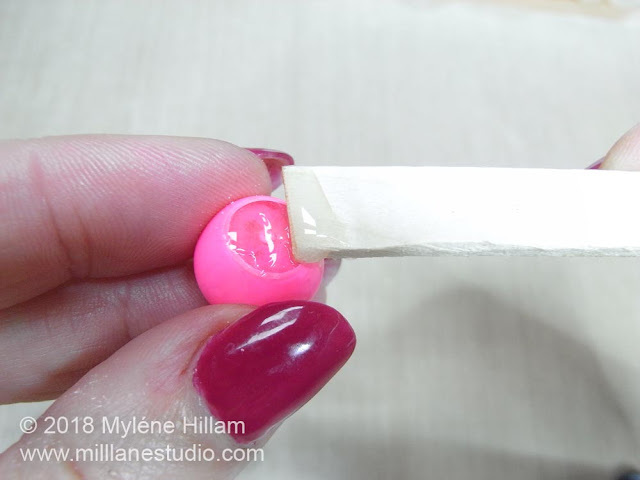 Mix up the 5-minute epoxy and apply some to the base of the bead. 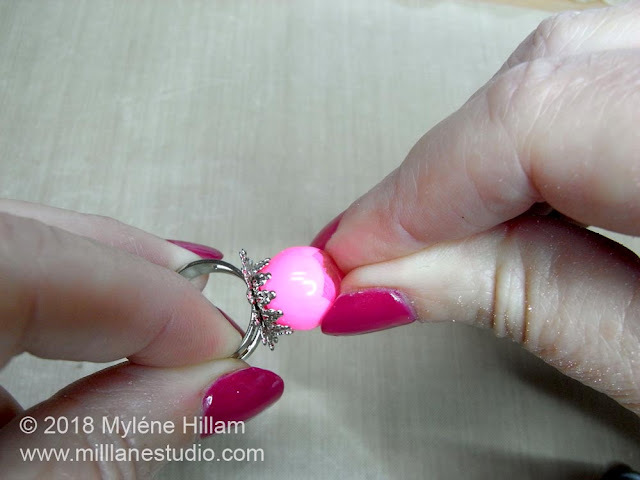 Press the bead into the ring base and hold it in position for a couple of minutes. 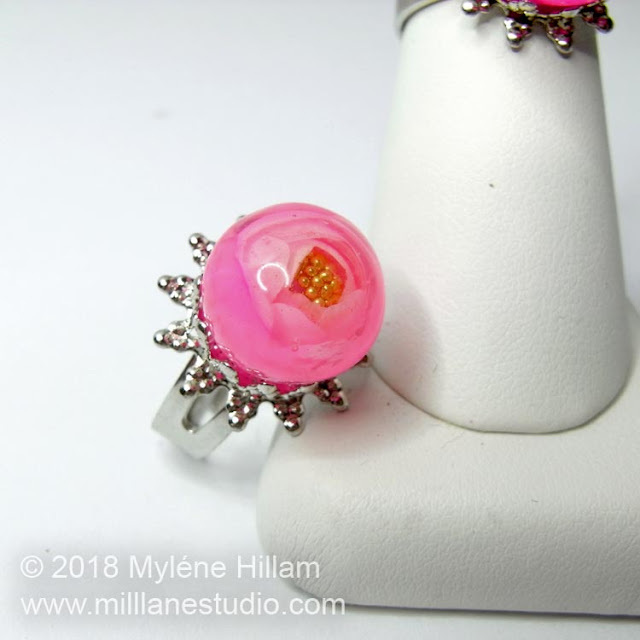 And now your Resin Rose Bubble ring is ready to wear! 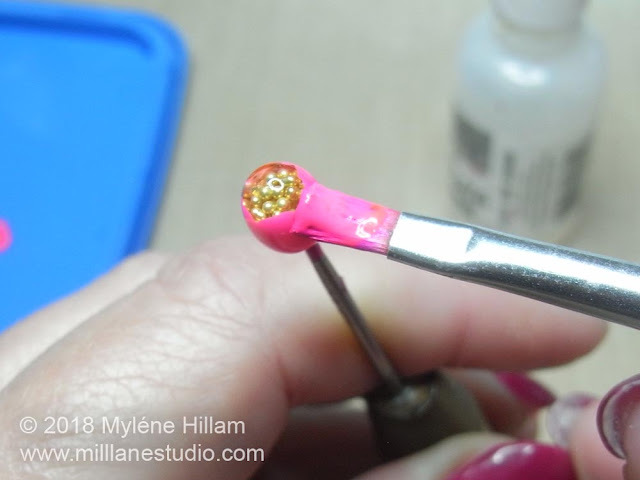 For the first bead I made, it seemed like a good idea to form the UV resin around the tip of a ball tool but that made it very hard to remove. 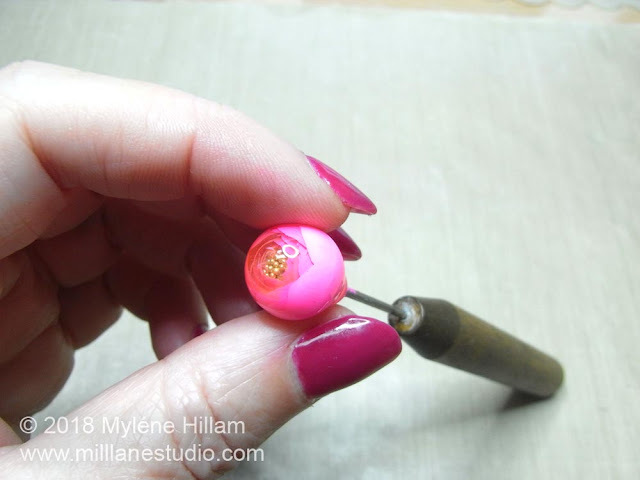 To get it off, I had to use the grinding attachment on my Her Embosser Tool to create a flat base around the base of the bead. 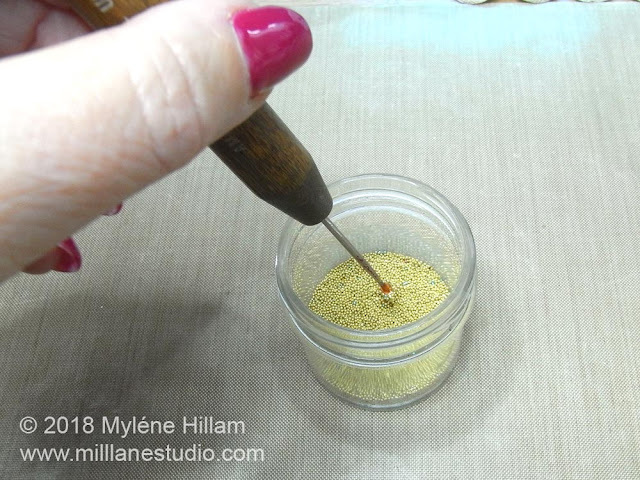 Then I had to switch to the drill to drill out the resin from around the spindle of the ball tool. 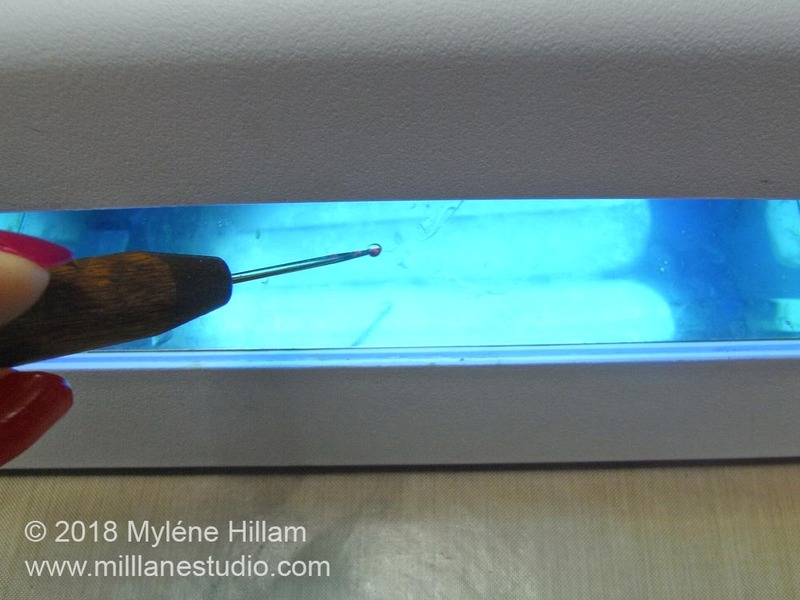 I was lucky that the spindle came out of the ball tool so that I could drill almost vertically down to the ball tip without the wooden handle getting in the way. Then I had to grip the shaft with a pair of pliers whilst pulling and wiggling the bead until it came free. 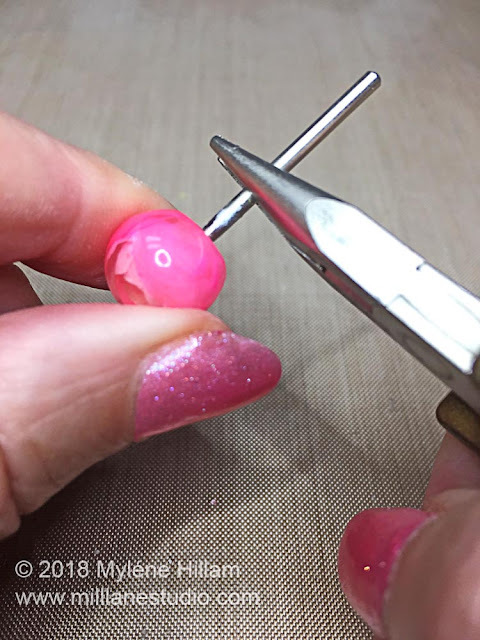 It took a fair bit of effort so I highly recommend building your bead on a needle tool! There's no doubting the importance of your Mum. She nurtured you through your childhood years, loved you unconditionally as you navigated the teenage years and helped shape the person you have become today as an adult. Now, she's a confidante, an adviser, your biggest fan and your cheerleader. What an amazing woman she is! One thing is for sure - no matter how grown up you are, your Mum never stops being your Mum! 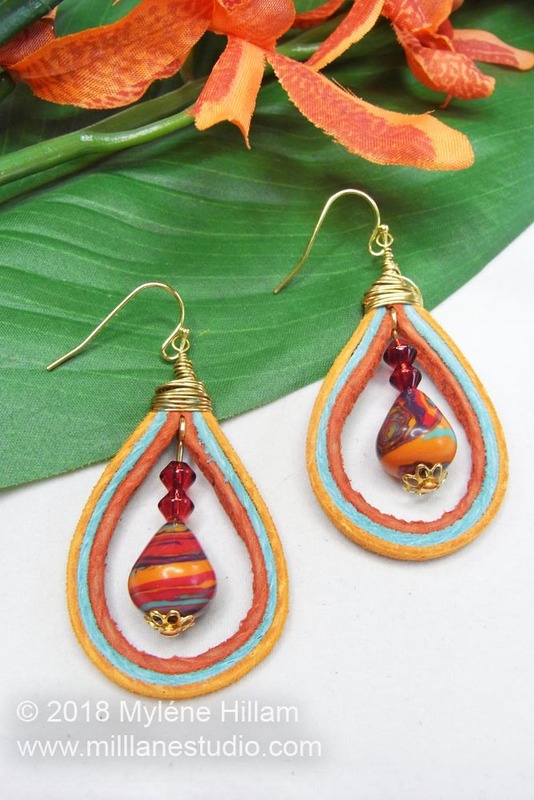 So this Mother's Day, show her just how much she means to you with a gift that not only comes from your heart, but that was handmade with love. To help you, I've rounded up some of my most popular jewellery making projects that she is sure to love. So this is not actually a bottle but it does look like one. 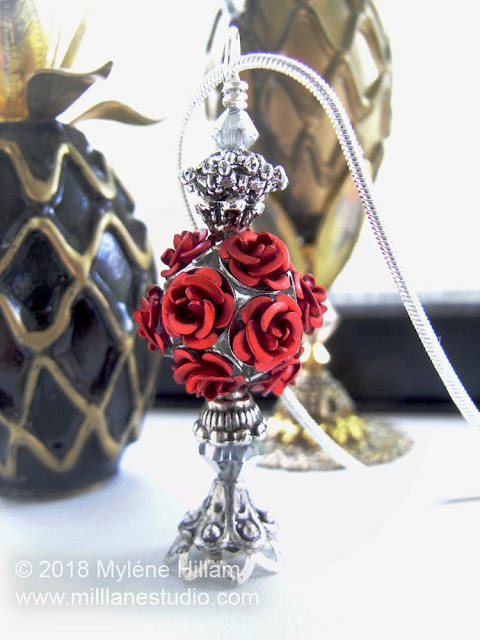 This exotic pendant will take you less than an hour to put together. 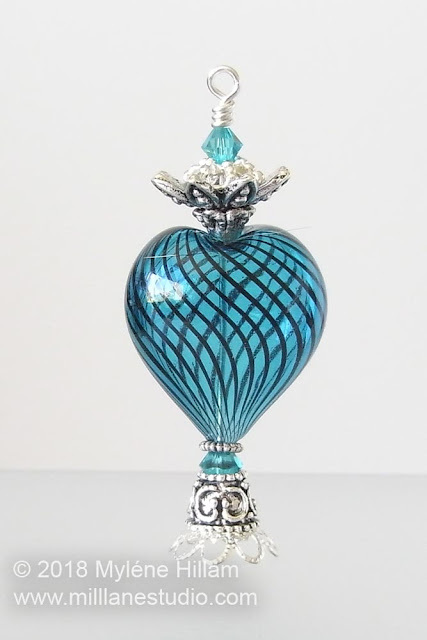 Another bottle pendant that isn't actually a bottle. This tutorial also includes step-by-step instructions for making a snake chain to hang the bottle on. This project will take you a little over an hour. 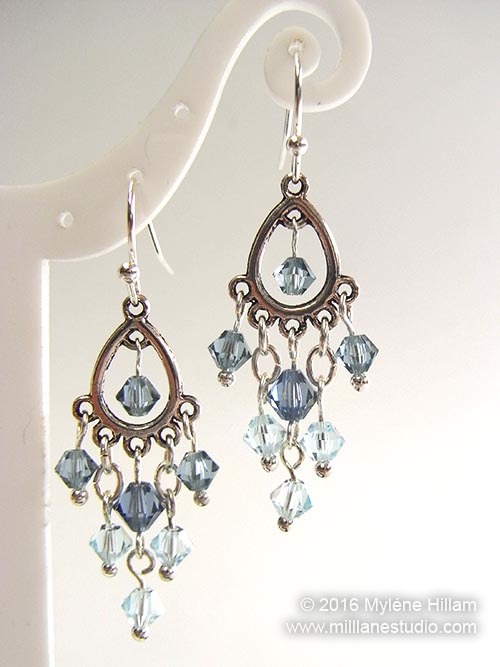 Give your Mum some sparkly earrings! If she's not into blue, then make them with her favourite colours! For the Mum who likes her jewellery to have a more Southwestern influence, make these leather lace earrings in earthy tones. 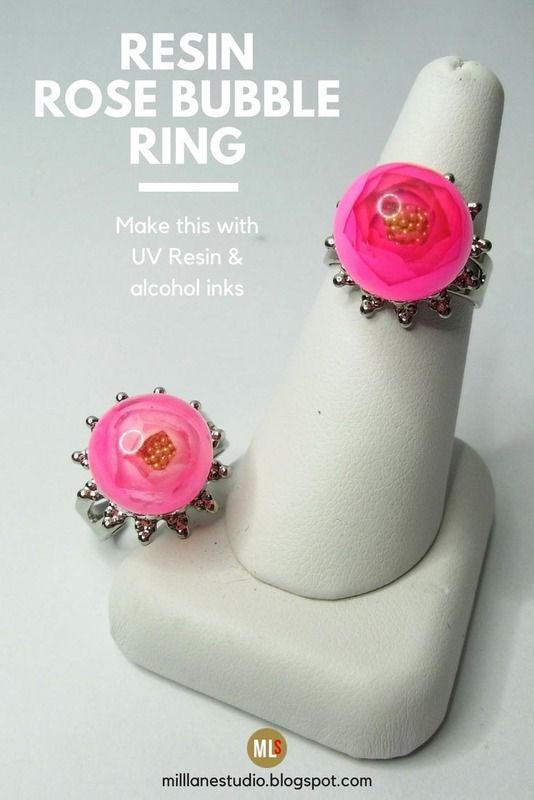 These just make you want to party! This is an easy project for a beginner to tackle. Using exotic beads like these Kashmiri beads is what makes it so special. This basic Kumihimo braid is much simpler than it looks. 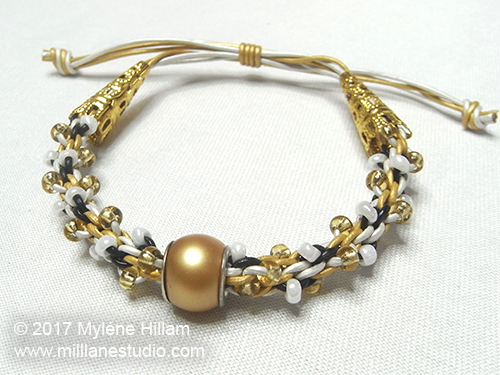 Once you get the hang of how to do it, you can make the bracelet whilst you're watching TV. 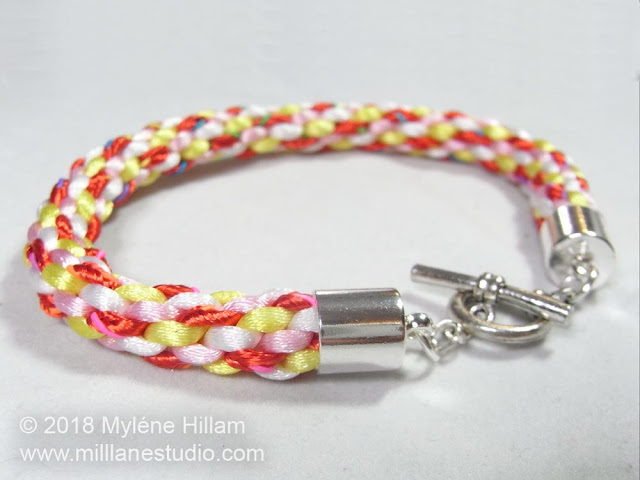 For something just a little more challenging than the basic Kumihimo braid, add some beads to the braid and then finish the bracelet with an adjustable sliding knot. 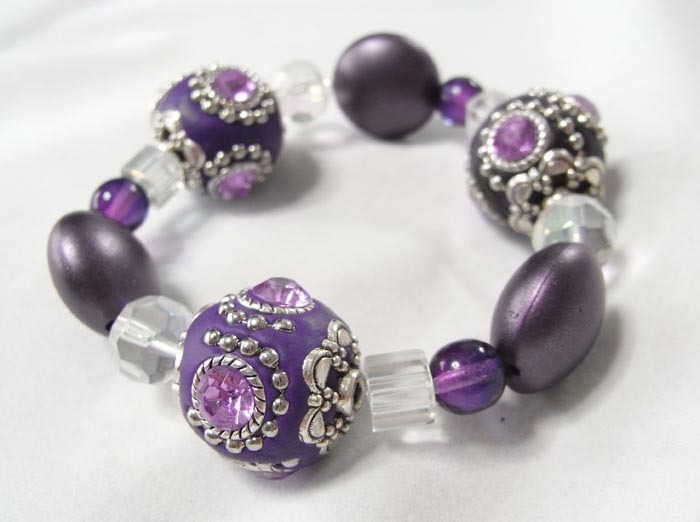 Your Mum will love that she can do this bracelet up on her own! 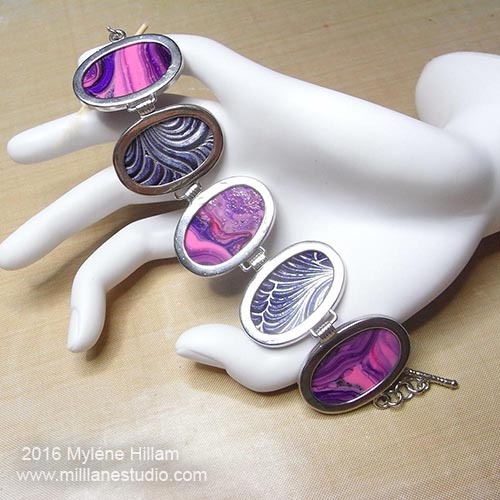 You'll need a bit more time to complete this resin bracelet, but the time spent will be well worth it! Your Mum will love the marbled and the textured pieces in the shiny silver settings. It will become one of her favourite pieces in no time! And if after all those ideas, you really don't have the time to make a piece of jewellery for your Mum, then why not choose a stack of colourful handmade resin bangles in her favourite colour. 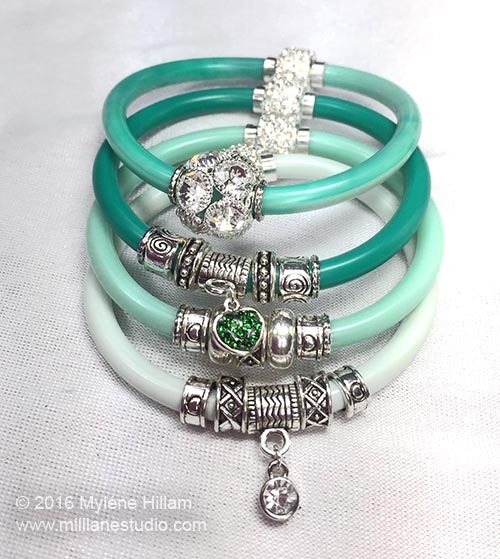 These bangles have magnetic closures that are encrusted with sparkly crystals and they come in whatever length you need. I make them for Mums with bigger wrists, Mums with smaller wrists and Mums with average size wrists. No matter what size you need, I can make one to suit. Or, buy one ready-made. 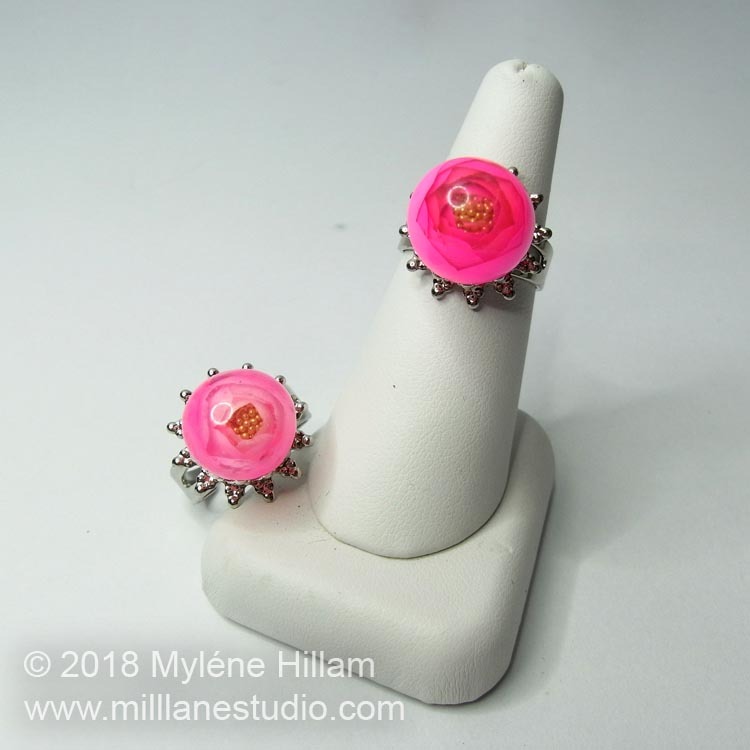 See the full range here: Mill Lane Studio Jewellery Shop. 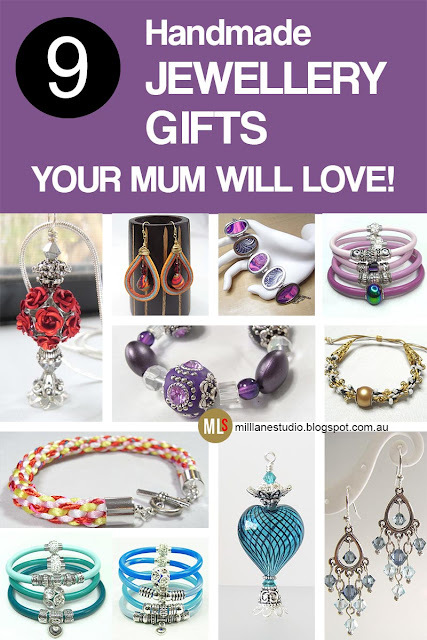 I hope these ideas help you find just the right gift to show your Mum just how much she means to you.